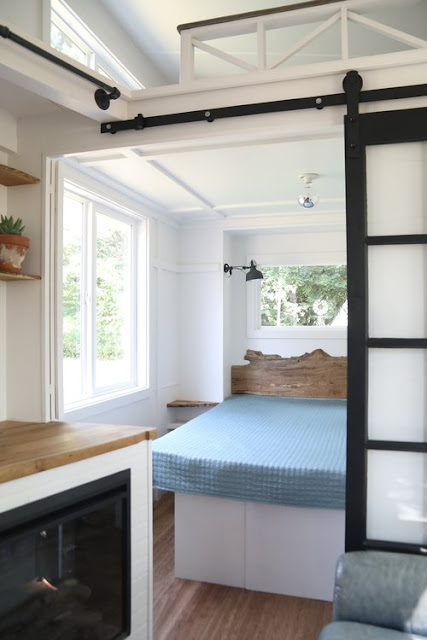 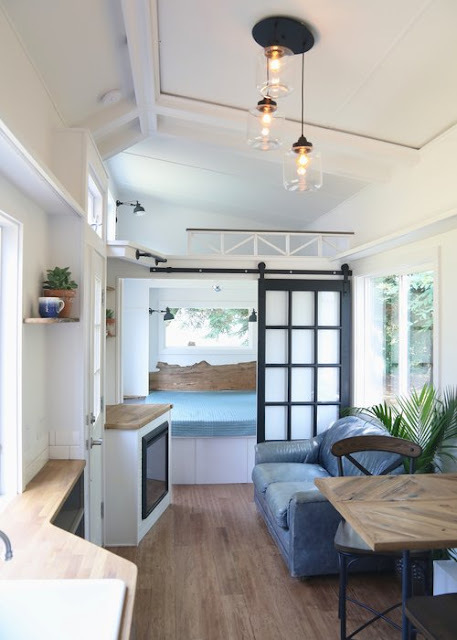 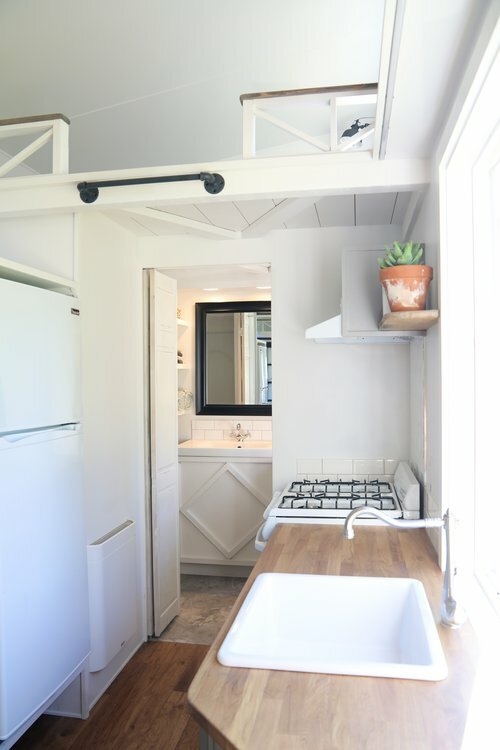 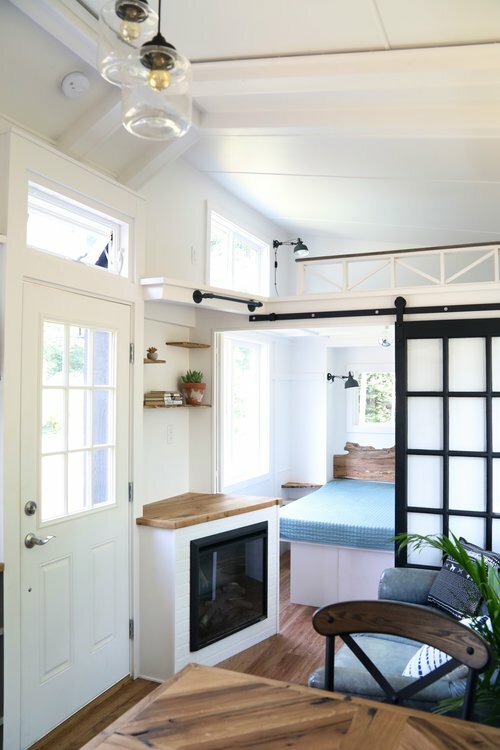 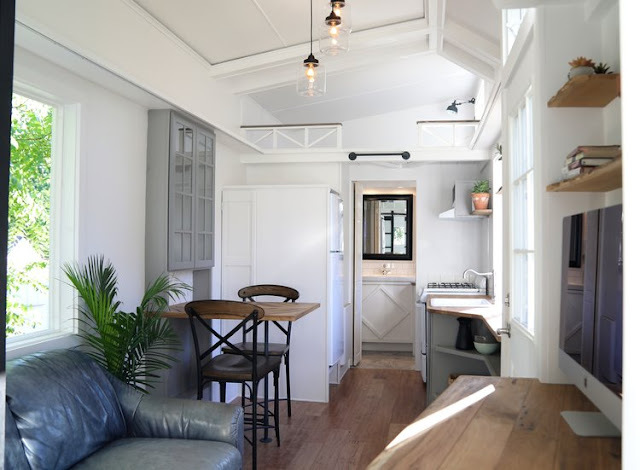 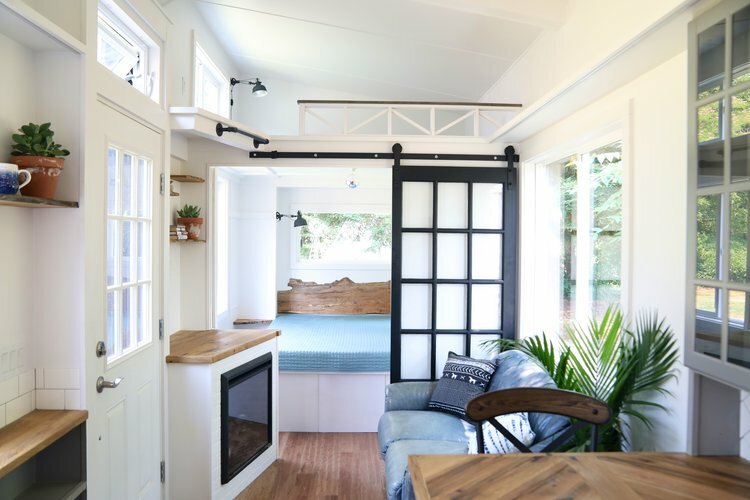 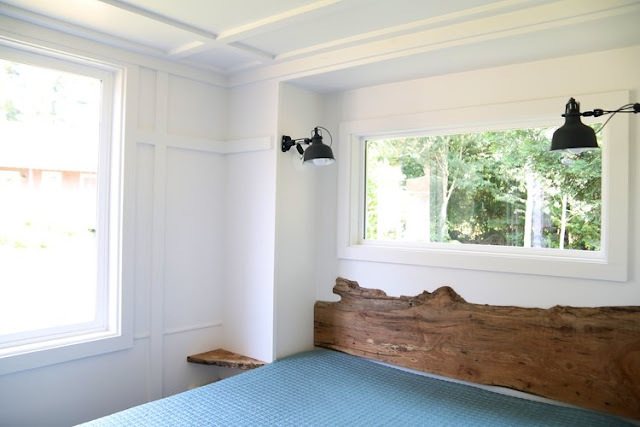 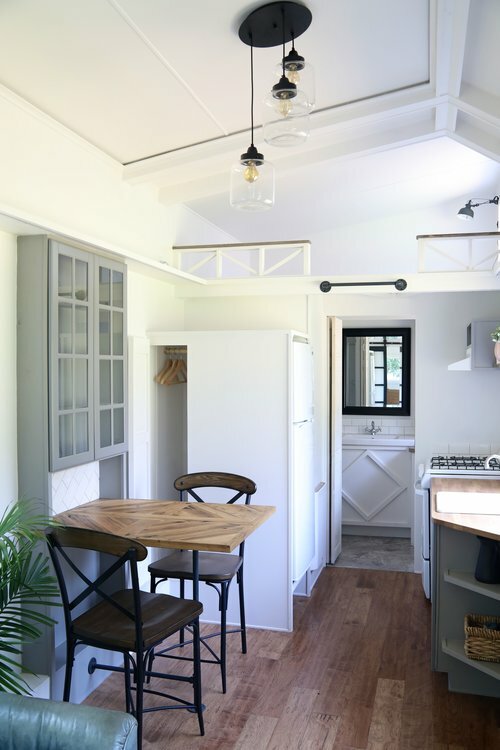 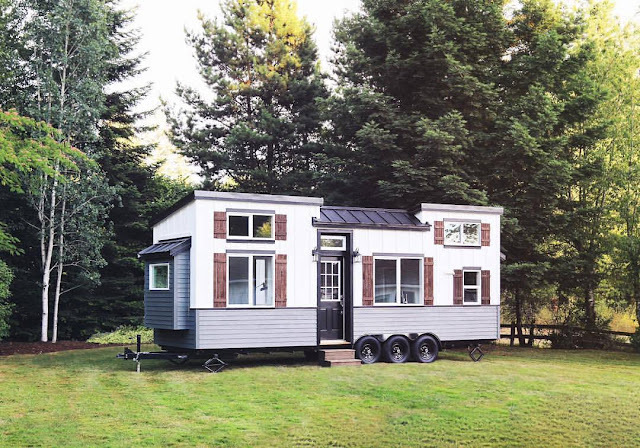 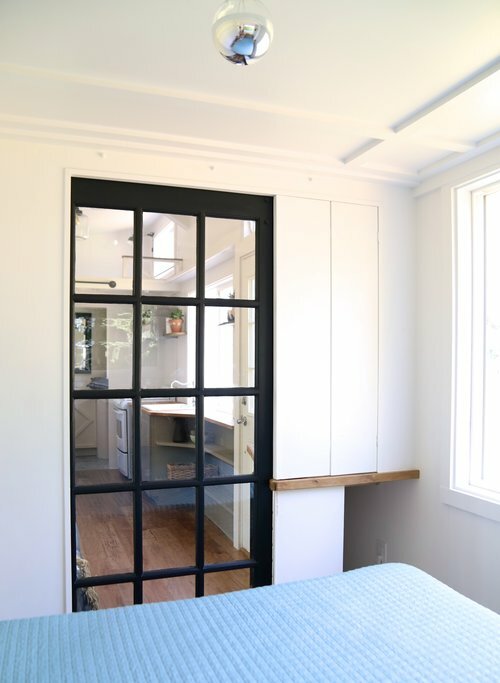 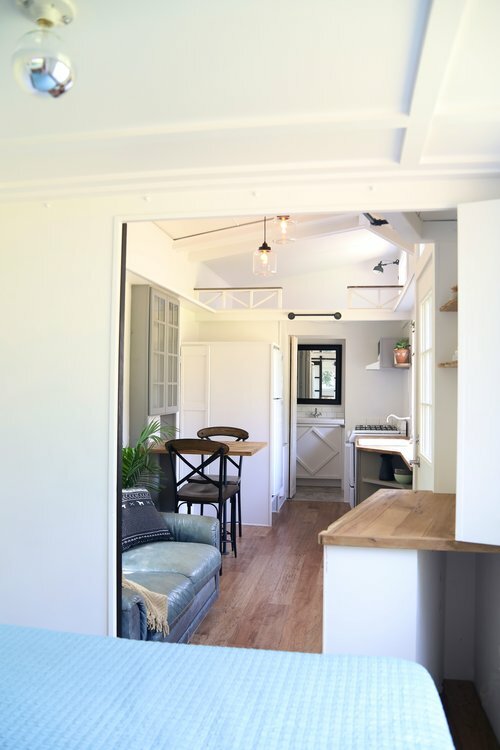 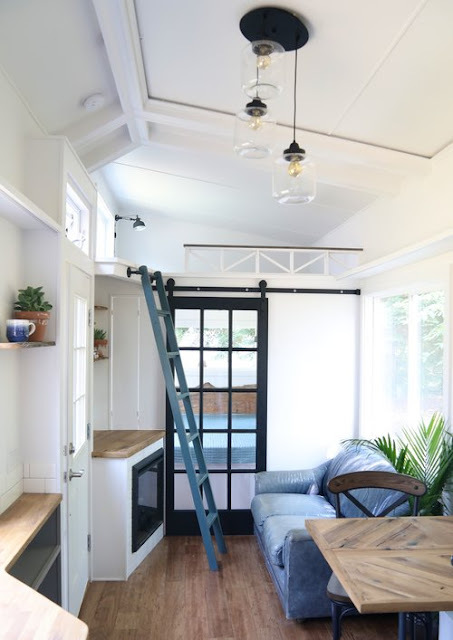 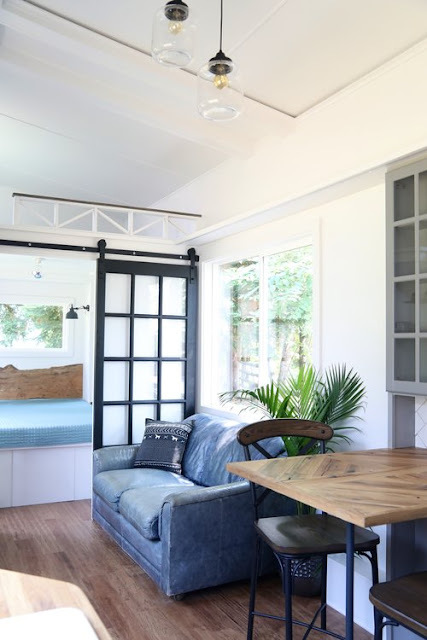 The Pacific Pearl is a 28’ x 8.5’ tiny home located near Portland, Oregon, and built by Handcrafted Movement. It is homey yet modern and located in a beautiful wooded area. 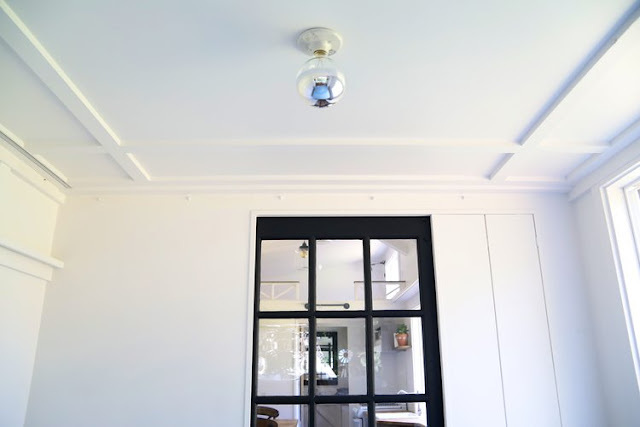 Upon walking through the front door of the home, you will find yourself in the living room. 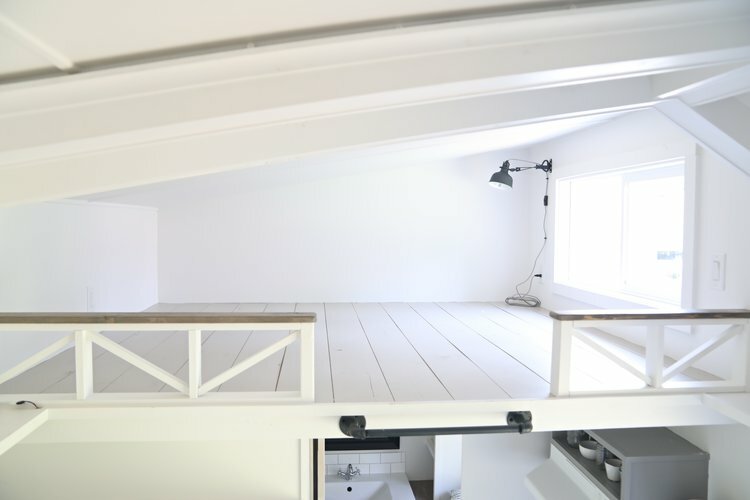 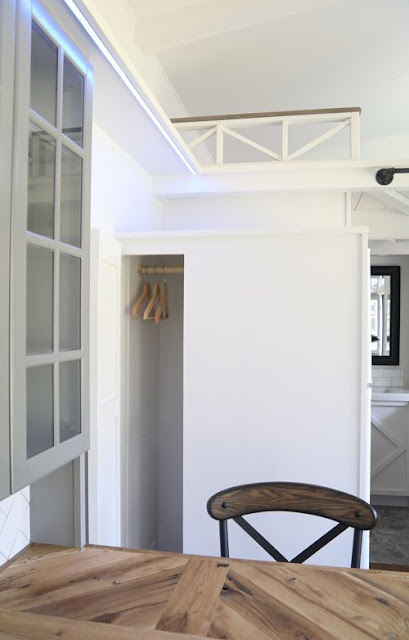 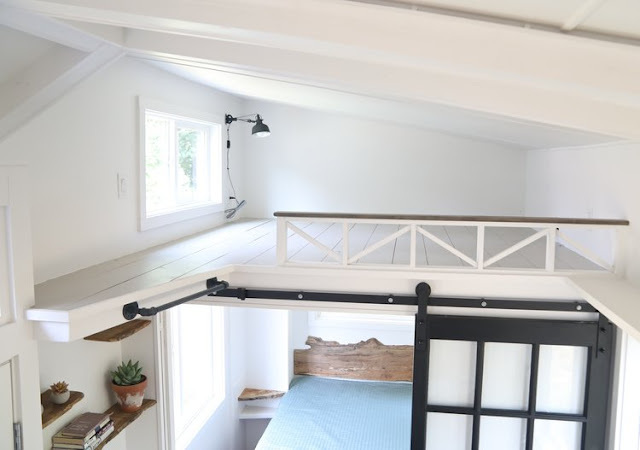 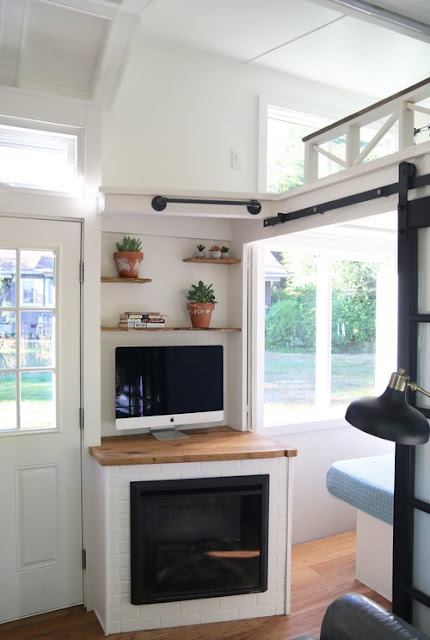 This space is furnished with a couch, electric fireplace, rustic light fixture affixed to the ceiling and a ladder to access the lofted area of the home. 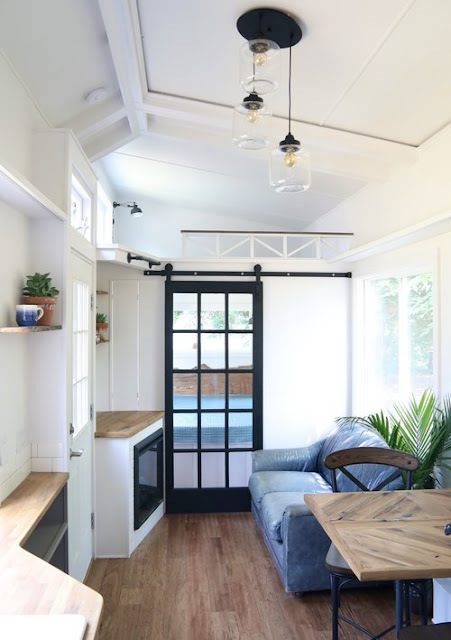 Next to the couch is a dining area (consisting of a dining table and 2 chairs) that separates the kitchen from the living room. 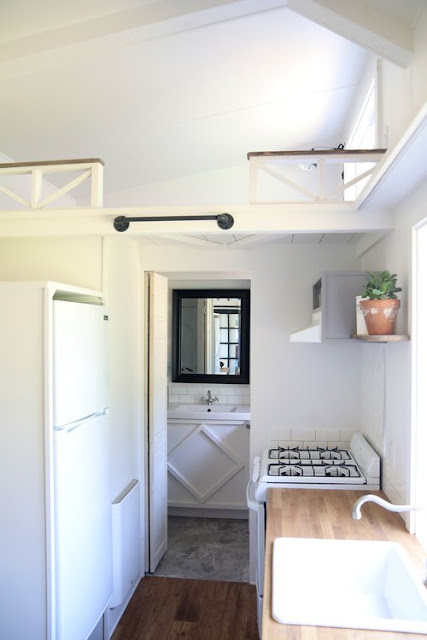 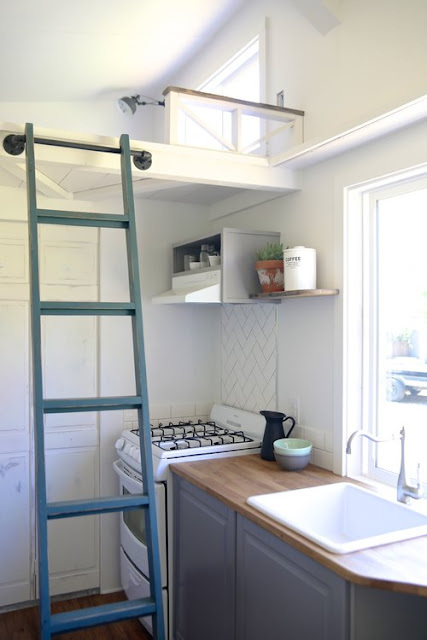 The kitchen is quaint and features white appliances (i.e. 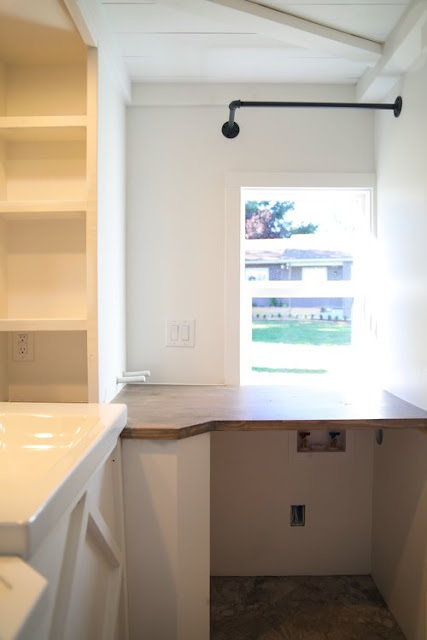 full-sized refrigerator/freezer, 4-burner range/oven, sink), butcher-block countertops and gray cabinetry. The compartment in which the refrigerator is located also contains a hidden closet space that can be used for hanging clothing. 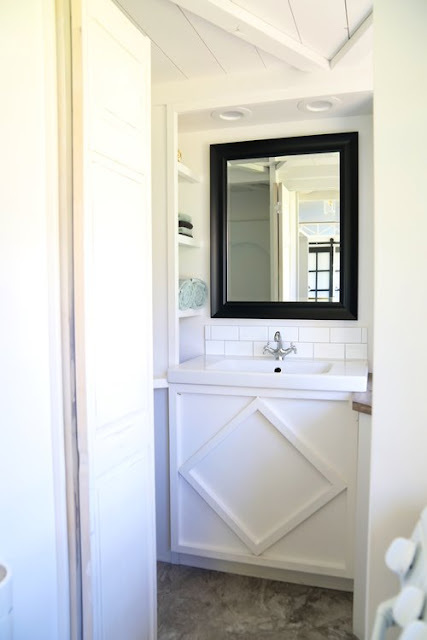 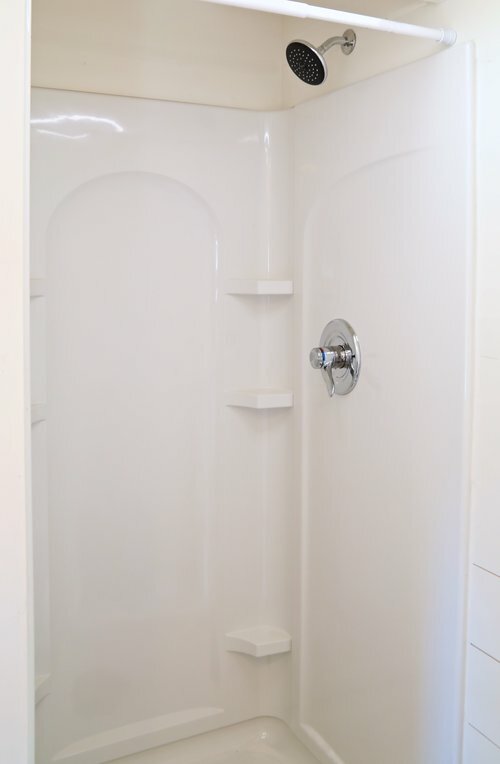 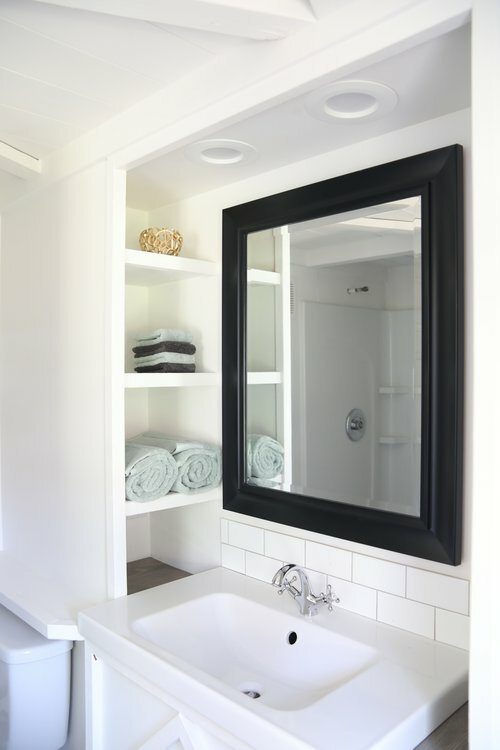 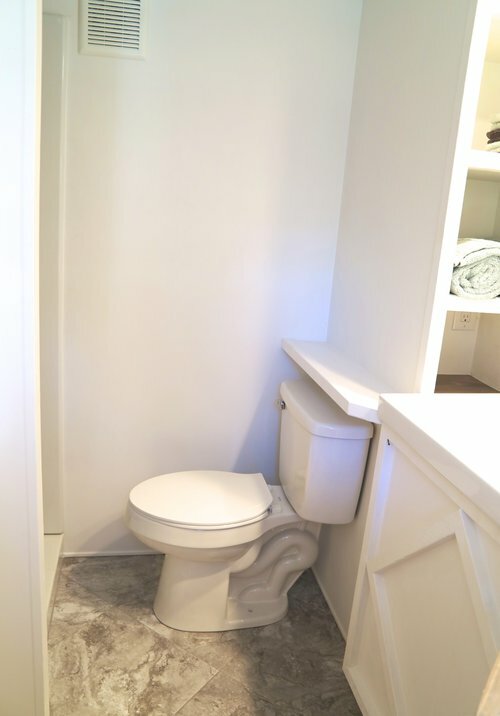 Go past the kitchen to the far right side of the house, and you will end up in the bathroom that has a walk-in shower, standard toilet, white sink, vanity, black-frame mirror and shelving for storage. 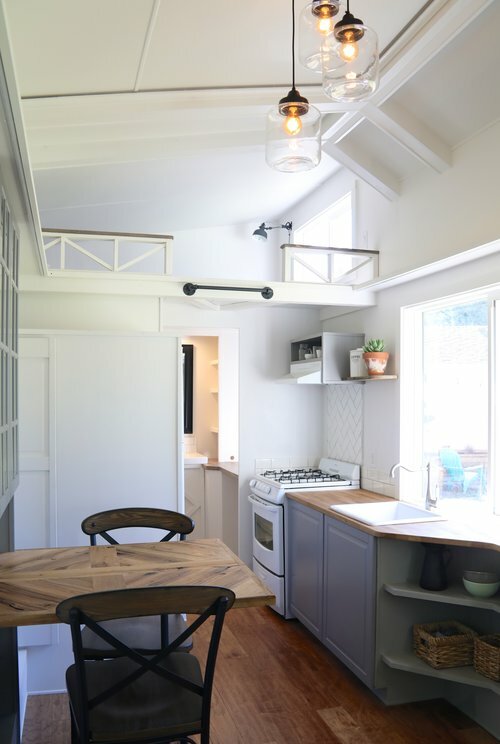 Notable features of this home include the 2 lofts (one located on each side of the home) and the computer nook adjacent to the kitchen. 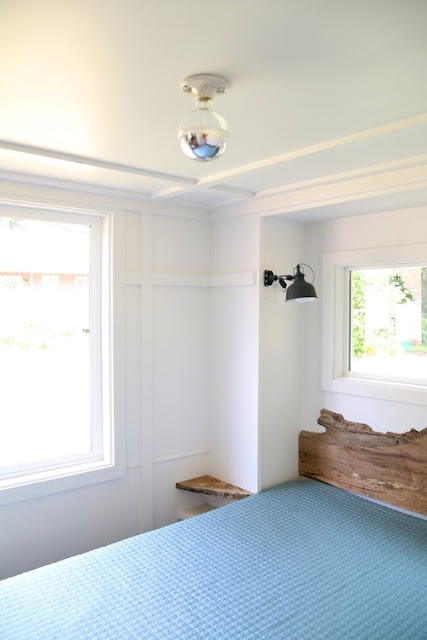 For more information on the $75,000 Pacific Pearl and the Handcrafted Movement, contact Handcrafted Movement here!